During my adventures in finding interesting subjects for my "Basilicata: Terra di Cinema" series, I'm often amazed at the reach of filmmakers from Lucania. They travel the world to make and present their films, follow their dreams and experience different cultures. They learn the language and assimilate quickly, embracing the differences in lifestyle, work and even cuisine. 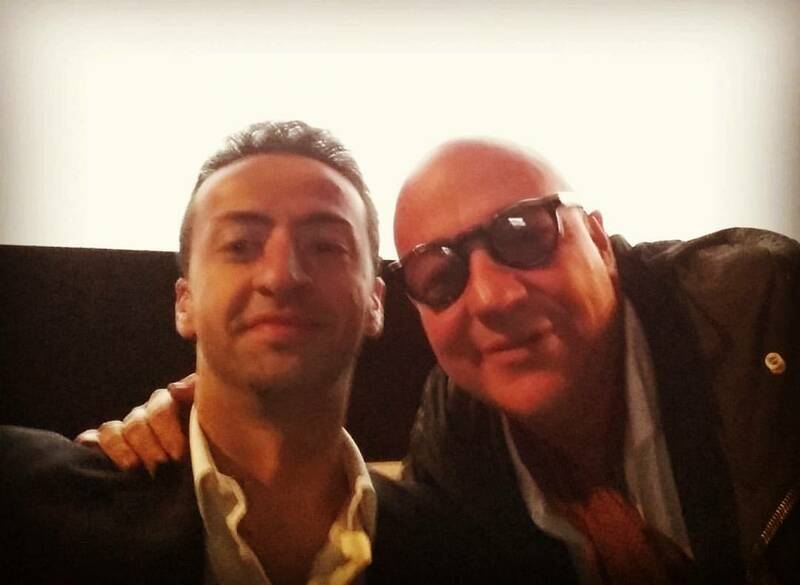 Film Distributor Alessandro Masi is no different. Born and raised in Potenza, he is blazing his way through America following his passions of cinema, marketing, and business. Well-schooled in the entertainment industry, Masi has also worked as a producer. So he is familiar with being on both sides of the coin. 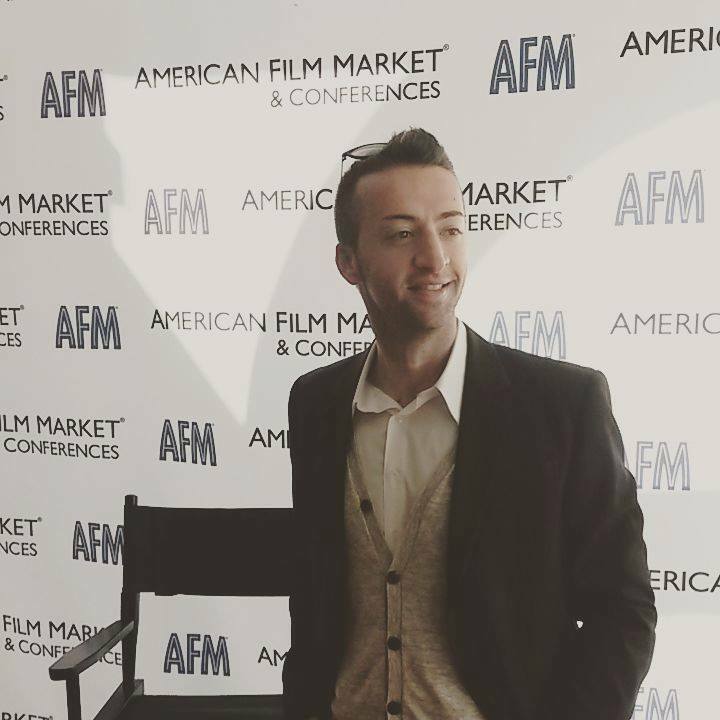 Curious about this Lucano in America, I asked him a few questions about his American adventure and his thoughts on the highly acclaimed Italian Oscar entry, Gianfranco Rosi's documentary "Fire at Sea". This is my third long trip to the United States. I came in 2008 for the first time as an exchange student from Bocconi University to NYU in New York for one month, and SMU in Dallas for one semester. Then I was in New York City again for six more months for an internship in television production at Zodiak Media. After beginning my career as Digital Strategist at Italia Brand Group, a top independent Italian marketing agency, I came to the U.S. for the second time. I was in San Francisco and Boston for three months as part of my MBA program - which began in London - at Hult International Business School, and New York again for three more months for training at the Investment Banking Institute. I moved to London to work as Investment Advisor, specialized in media & entertainment and technology at TMT Advisors. Then I moved back to Rome to lead the business development function and bring to profitability one of the very first VOD platforms in Europe, named OwnAir. I also founded my startup FlexyMovies, aimed at innovation in the entertainment industry, along with development and implementation of sales, distribution, and cutting-edge marketing strategies. I decided then that I wanted to move to Los Angeles, the world capital of entertainment, to be at the core of content production and worldwide distribution. 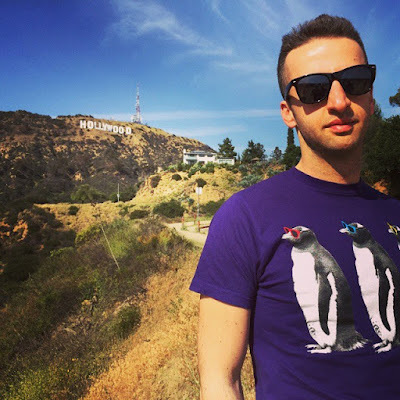 I moved to Los Angeles in January 2015 and I have been here since. What has the transition been like for you? The transition has been easy because I had already been in the United States. I speak English fluently and I also speak Spanish, which is very important in Los Angeles. I love the American cultural melting pot and the opportunities that this incredible country is able to offer to those that are willing to work hard. Tell me about your work.. I am an international film/television sales & distribution professional and a producer. I master any business and creative aspect of the entertainment industry, particularly market-driven film and television production, financing and marketing. I can develop and implement complex strategies. I am good with numbers as well as with people, creative as well as attentive to details. Having a background in digital and startups, I can figure out cutting-edge ways to innovate and foster the entertainment industry. I am a deal-maker, a passionate go-getter and a flexible team-player with a strong work ethic. I have recently worked for the company - Sierra / Affinity - who financed and distributed internationally Captain Fantastic. At the latest AFM, I worked on the buying side, helped distributors - particularly from Italy - scouting great content and projects for their territories. One movie that I facilitated brokering was On The Milky Road by Kusturica with Monica Bellucci. At the moment, I am the producer for a cross-platform sci-fi concept that we are developing as a feature and series starting from a short that we will be using as proof-of-concept. It's called Phenomenon. It's in the vein of Stranger Things. It's about a kid who tries to reconnect through a supernatural world to his lost father who disappeared during the Vietnam War. It will premiere theatrically in L.A. on December 2. What are your thoughts on Italy’s Oscar entry, Gianfranco Rosi’s Fire at Sea? Regardless of the actual chances to win - which by the way should never influence the decision - documentaries are cinema to all intents and purposes. It's an extraordinary piece of filmmaking. It's incredible that is non-scripted. Most importantly, it is a unique chance to showcase an artistic and prominent point-of-view on the tragedy of refugees to all who seem to ignore it. I totally endorse it. How do you manage to stay connected to your Lucani origins? I have many Italian friends here in Los Angeles, including some from Basilicata. This place is full of people chasing dreams and passion, that is why I like it so much. I am a frequent attendee of the Italian Cultural Institute, especially for movie screenings and showcases of Italian cinema. I go to Italian restaurants sometimes. Most of all, I have close relatives in the United States, precisely in Worcester, Massachusetts, so I visit them every once in a while, especially during the holidays, and they also visit me here in Los Angeles. They are my second cousins, as my great uncle emigrated to the States in the '60s. His name was Giambattista Sarli and his name is still present in the register at Ellis Island. He and his wife Assunta had seven children.. Fun fact: the same number as my mother's brothers and sisters, and they also look alike. The first time I saw them, it was incredible. I was the first in my family to reconnect with them from Italy after more than 30 years. As far as staying connected with Lucani origins, I try to stay in touch - besides friends and family - with professionals from Basilicata, give them professional advice on how to crack Hollywood, and I also had the opportunity to meet Francis Ford Coppola recently and briefly talk about the great beauty of our land, which he also loves. You can watch Masi's Italian Golden Globe winning documentary "Suicide Italy" via the website Own Air. Masi worked with the company also as a producer and distributor of original documentaries on social issues. "Suicide Italy" describes the Italian recession in its cruel evolution from the point-of-view of the younger generations - embodied within the actress Eugenia Costantini - forced to come to terms with the seriousness of the Italian recession. The film features a cameo by the late Dario Fo, the actor-playwright, intellectual, activist for the working class, and recipient of the 1997 Nobel Prize in Literature. Click here to watch the trailer for "Suicide Italy"
With America in his heart and Lucania in his soul, Alessandro Masi is well on his way to pursuing his cinematic dreams. I'm sure we'll be hearing a lot more from him. We'll keep you posted on his future projects.